Affiliates MailChimp integrates Affiliates, Affiliates Pro and Affiliates Enterprise with MailChimp (see the requirements below) and allows you to add your new and existing affiliates to a MailChimp mailing list. 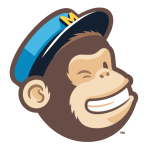 Please note that this integration is compatible and has been tested with the MailChimp API v3. It is not compatible with any of the previous deprecated versions of the API.